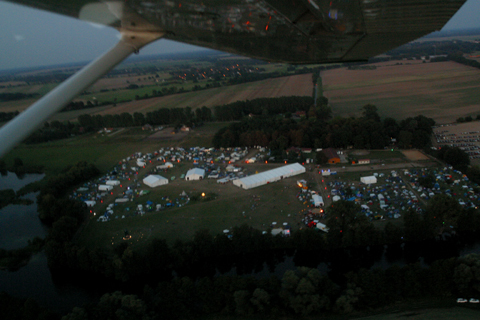 The Chaos Communication Camp is an international, five-day open-air event for hackers and associated life-forms. The Camp features two conference tracks with interesting lectures, a workshop-track and over 30 villages providing workshops and gettogethers covering a specific topic. You can participate! Bring your tent and join our villages. The Camp has everything you need: power, internet, food and fun. The 100.000 square meter areal features enough space to camp, cozy places to hang out and a nice pool and lake to swim and do nautic experiments. Most of this website is part of a wiki - which means that everybody can contribute information and more. Head over to the wiki, or login or register an account. Official announcements by the Camp crew giving details on the Camp. To subscribe, send mail to camp-announce-subscribe@lists.ccc.de. This list is read-only. General discussion about the Camp. To subscribe, send mail to camp-subscribe@lists.ccc.de. Every subscriber may post. The Phone Operation Center provides full DECT-Telephone-Coverage at the camp. Users can bring their own DECT/GAP phone, and call other users, listen to the lectures, and more. Head over to the Registration Utility to register your own number!